Pinnacle are highly trained and skilled in Hygiene Cleaning. At pinnacle Cleaning Services we provide a specialist Hygiene Testing Service to a large number of customers across Bournemouth, Southampton, London and throughout the UK. Our Hygiene Testing service is regularly used by a wide range of organisations including Schools, Universities, Hospitals, Restaurants, Hotels, GP Surgeries, Nursuries and a number of Office Based businesses. At Pinnacle Cleaning Services, the Hygiene Testing Services that we provide have become even more important due to the tighter controls and legislation in relation to public welfare and public safety. As a result of this building managers and facilities managers have responded to these changes by arranging for full risk assessments to be carried out in the workplace. As part of our dedicated hygiene testing service, we carry out fully established procedures which enables us to ascertain the levels of fungi and bacteria in the workplace. This includes carrying out sterilised dip slide tests from any surface including Commercial Kitchens, Waiting Rooms, Toilets, Washrooms, Computer Stations and Medical Rooms. We believe that regular Hygiene Testing should be an essential part of any businesses cleaning program as regular Hygiene Tests can greatly reduce the threat of build up of dangerous fungi and bacteria in the workplace. If this fungi and bacteria is left untreated it can spread and potentially cause infections for both staff and customers in the workplace. One area that has become vital to Hygiene Cleaning and to any businesses regular cleaning programs is that of carrying out regular Risk Assessments, Hygiene tests of HVAC and Kitchen Extract Systems. This has become crucial due to the increased health and safety legislations including the introduction of the Health and Safety (workplace) 1992 Regulations 5 and 6 on Ventilation Systems and BS EN 15780 : 2011,. Many major insurance companies now require Heating Ventilation and Cooling Systems (HVACS) to undertake regular audited Risk Assessments and Testing by Qualified Assessors. At Pinnacle Cleaning Specialist Cleaning Services we recommend the Risk Assessing and Testing Services provided by Essential Risk Assessments. 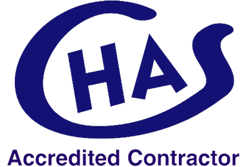 Essential Risk Assessments are a specialist Risk Assessments and testing company based in Christchurch, Dorset. The Standards and procedures that Essential Risk Assessments adhere to are set out within the industry recognised documents The Heating Ventilation Contractors Association – HVCA TR/19 Guide to Good Practice Internal Cleanliness of Ventilation Systems and the new British Standard Institutions’ BS EN 15780 : 2011 Ventilation for buildings – Ductwork Cleanliness of ventilation systems. All risk assessments are carried out by fully qualified risk assessment officers that have 25 years experience in the cleaning industry. At Essential Risk Assessments, their qualified risk assessment officers carry out testing, including dip side tests to determine whether there is fungi or bacteria present in the Ventilation –HVAC System and in order to show the accumulation of dust in the system the Industry recognised NADCA Dust test is then undertaken. Essential Risk Assessments help you the client to comply with HVCA TR/19 Standard and the current British Standard BSEN 15780 : 2011. After a full Risk Assessment has been carried out on your HVAC and Kitchen Extract Systems and the level of cleaning required has been ascertained, we can arrange for the required level of clean to be carried out through our Ductwork Cleaning Division. Our Ductwork Cleaning Division provide a dedicated HVAC and Kitchen Extract cleaning service to a large number of customers across Bournemouth, Southampton, London, Bristol and throughout the UK. Our Ductwork Cleaning Division was set up specifically to cope with the level of cleaning required for both HVAC and Kitchen Extract Systems due to new legislation and tighter controls on both public welfare and public safety. The removal of this potentially harmful dust is becoming a must have service for Building & Facilities Management in order to maintain a healthy working environment for both staff and clients. If left untreated, bacteria and fungi can spread and cost businesses thousands of pounds in lost revenue, with sick pay, agency staff and the cost of overtime to cope with the staff absenteeism and leave. For more details on our dedicated Ductwork Cleaning Division, please Click Here or call now on 0345 202 5757.